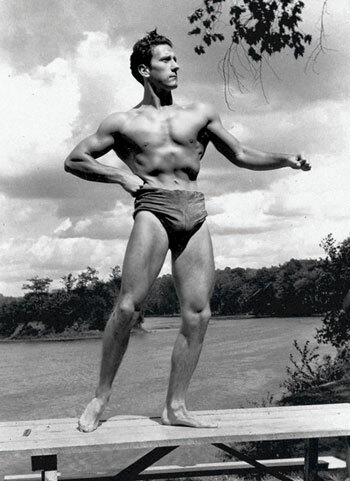 In 1950, our late founder gave us his predictions for the future of bodybuilding. See if he was accurate. • ￼￼I predict that civilization will speed up in every phase and that the stresses and strains on mankind will continue to increase. • I predict that the resulting increase in mental and physical illness will force the world to recognize the importance of systematic exercise and physical activities to prevent and combat the evils of civilization. • I predict that bodybuilding will become the chief form of systematic exercise and physical activity and that it will come to be looked upon as one of the greatest forces in the field of preventive medicine. • I predict that a full realization of the importance of muscular development will sweep the world and that the sport of bodybuilding will grow by leaps and bounds. • I predict that the principles of good bodybuilding, which include balanced diets, adequate sleep, plenty of fresh air, ample sunshine, and regular workouts, will become basic principles of living. • I predict that bodybuilding will become the stepping stone to every other sport and physical activity. • I predict that the art of relaxation, which is one of the fundamental principles in bodybuilding, will become more and more important as the tensions increase and that relaxation will be universally taught and advocated. • I predict that bodybuilding will spread to every corner of the world and that it will one day be recognized as the king of all sports and physical activities. • I predict that those who practice bodybuilding will live healthier, happier and more useful lives. • I predict that bodybuilding will one day become one of the greatest forces in existence and that it may be hailed as the activity which actually saved civilization from itself. Get more of our complete tribute to Joe in the June issue of Muscle & Fitness, on newsstands now! Originally published in the July 1950 issue of Your Physique.